As you see, this is an all-too-familiar problem that many homeowners face. 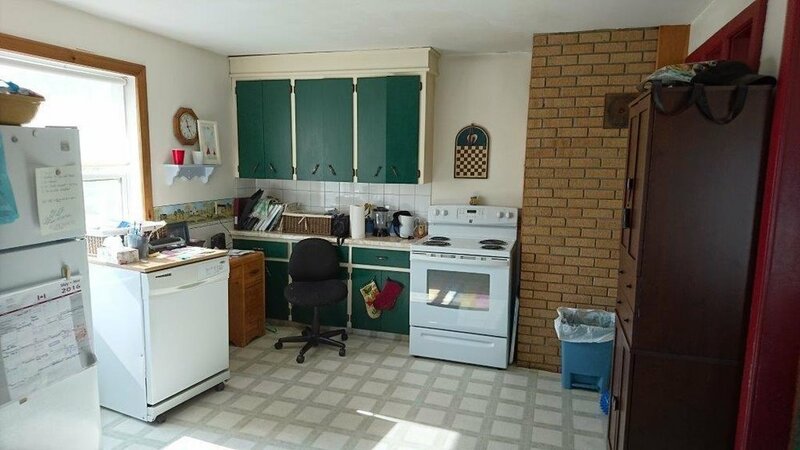 Here is an older kitchen that has seen many wonderful memories, but no longer reflects the needs of the modern family. 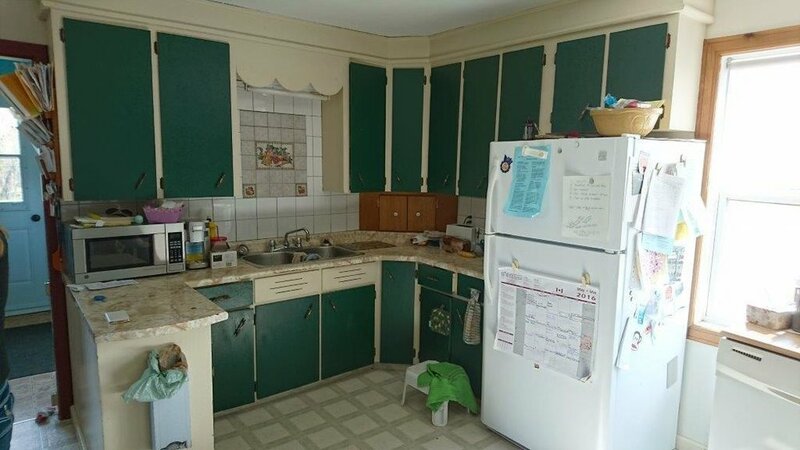 Older cabinets, linoleum flooring and an awkward layout in a kitchen that is trying to perform too many tasks for all of its users can be a challenge, and a bit of a frustration at times. 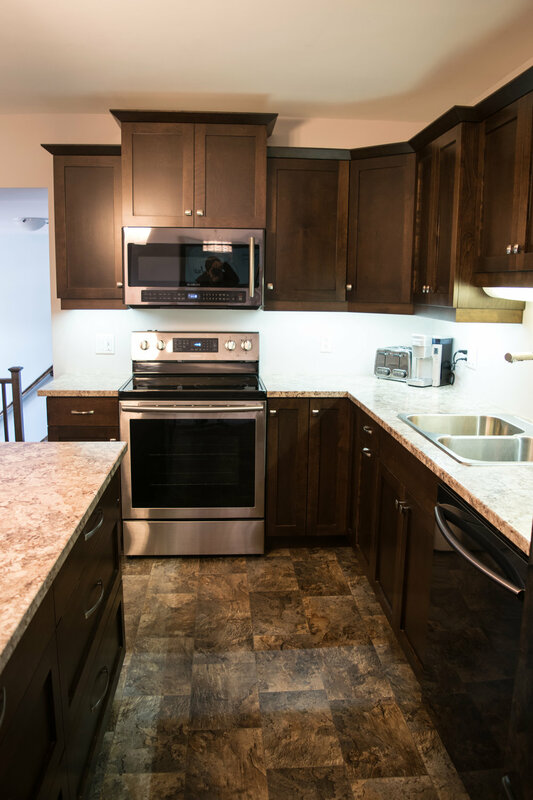 Now, this space has been reimagined and transformed into a fully functional and picture-perfect kitchen. There is plenty of storage for everything you need. 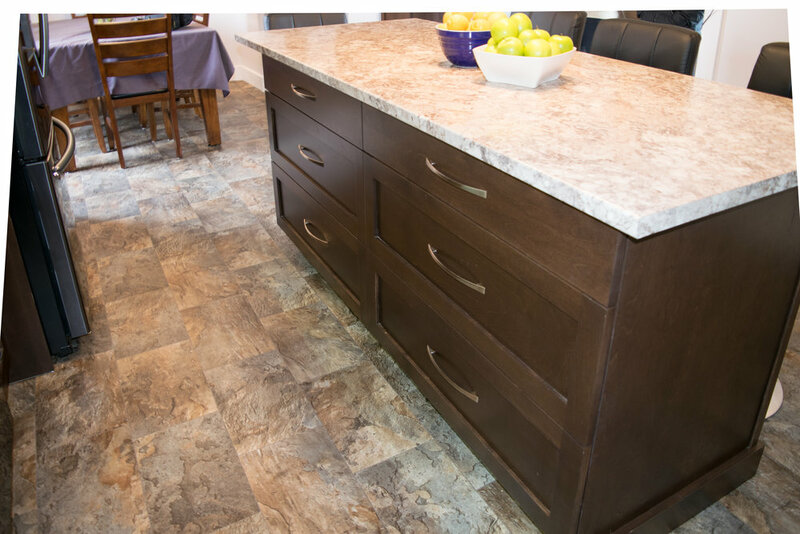 The clever island does triple duty by providing additional prep-space, deep storage with the generous bank of drawers and a dining space for those quick eats today's busy families live on. 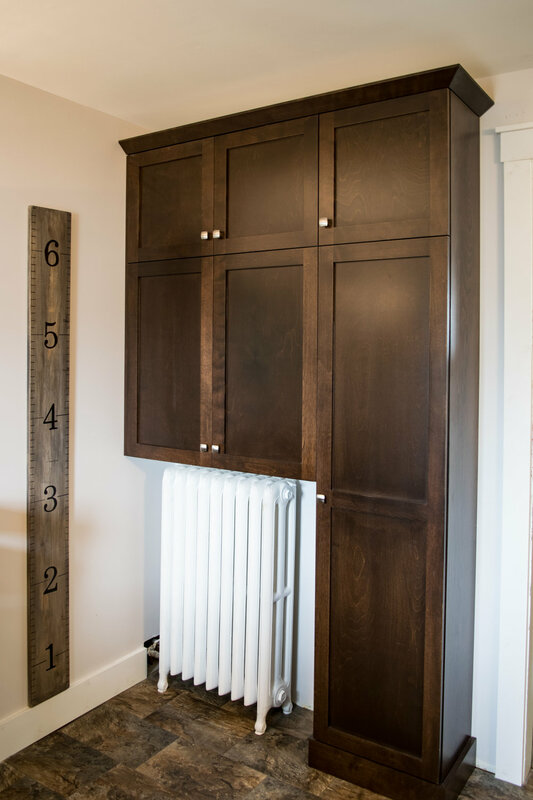 Shaker style birch cabinet doors and drawers in Espresso, durable laminate countertops, and classic and simple pulls and knobs add to the overall wow factor. 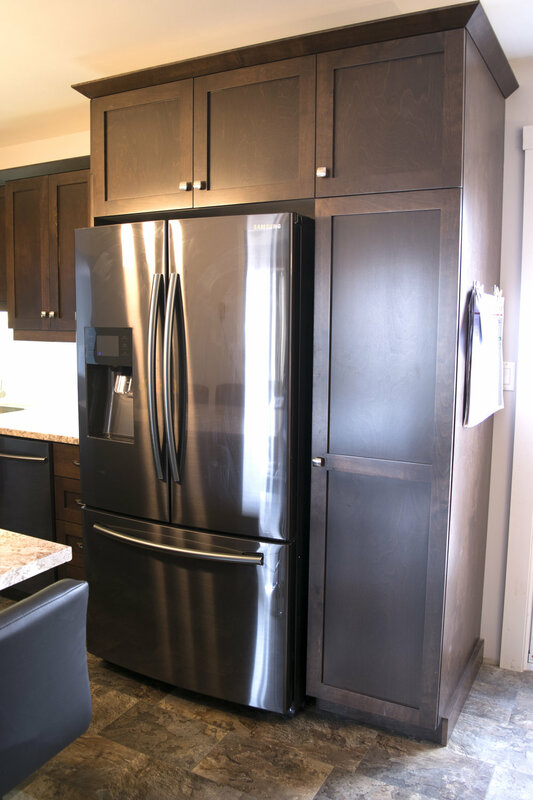 Top of the line appliances add an attractive and efficient solution to meal preparation. Space around old radiators can be a challenge to work with, but not in this case. The area was used effectively to add even more storage. 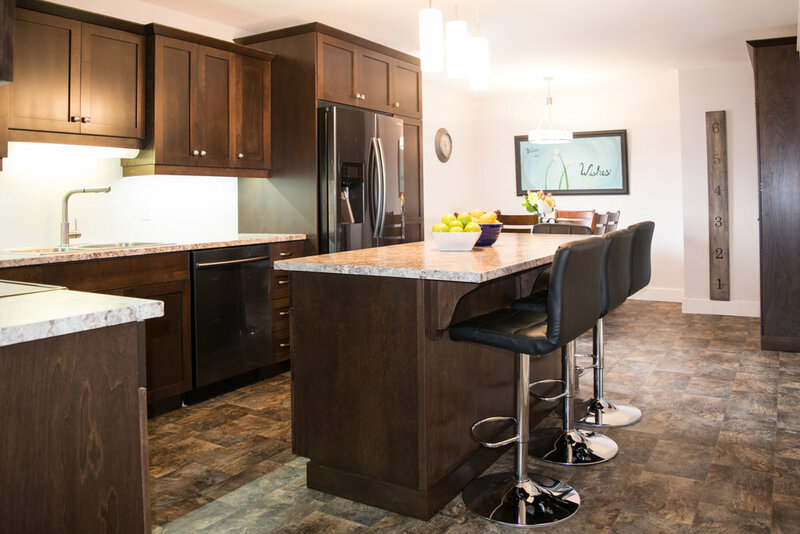 This newly transformed kitchen has given an opportunity for many more generations of this family to enjoy everyday and holidays.